When we heard it was Pack Rat Day, we called this to our human's attention immediately. 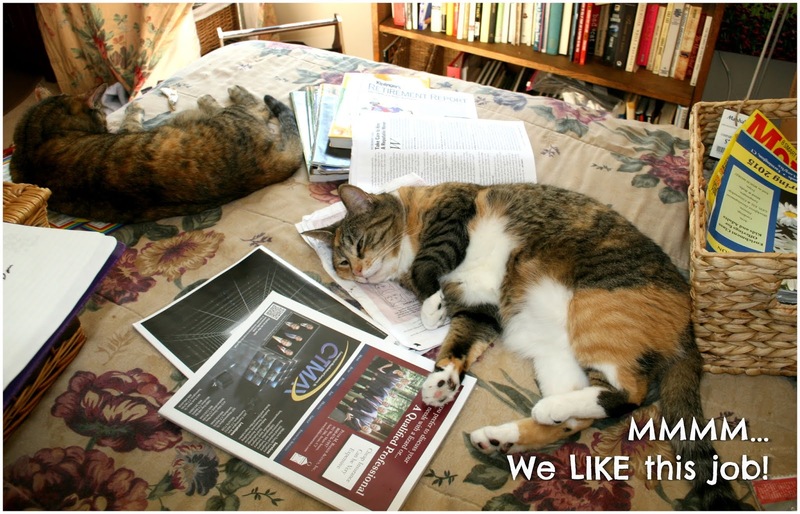 She's a purr-fect candidate! 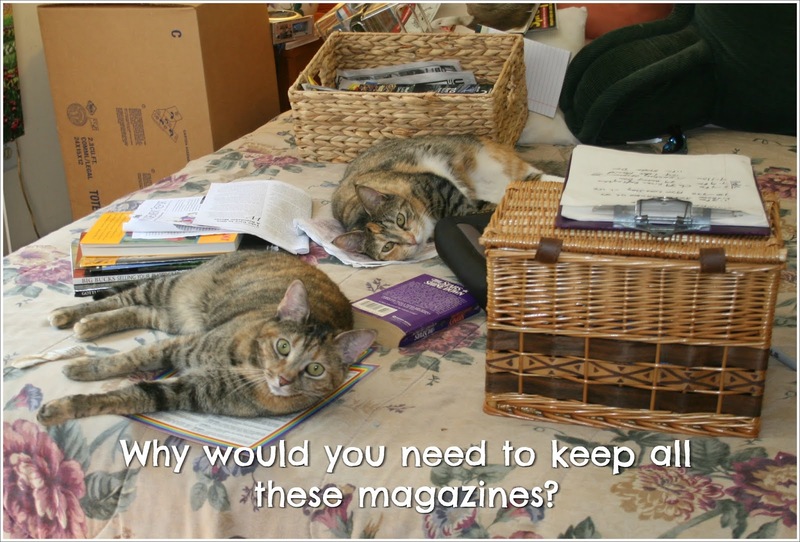 We are empathetic to my human's magazine predicament. Nevertheless, time to go to work and help with her decisions. Pack Rat day is a time for late spring cleaning to get rid of old things you don't need to make way for the new! Happy Pack Rat Day may you have a great time with your spring cleaning. Sometimes it just has to go. Dang, we missed that special day, we've got lots of rats packed away here! Thanks for joining the Thankful Thursday Blog Hop! Well, at least all that stuff makes for a good napping spot. 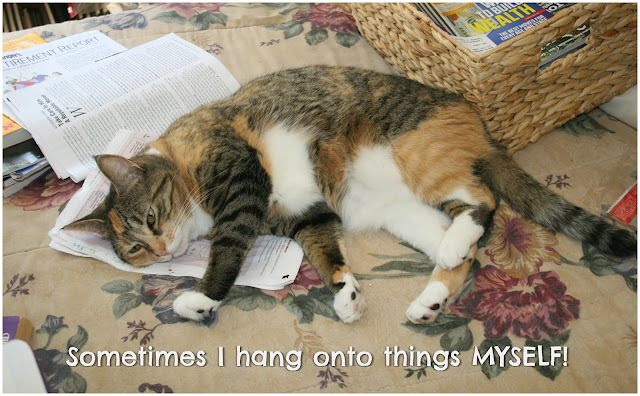 My peeps hang onto stuff NO ONE needs, but can a kitty hang onto a few extra nip toys? OH NO, we mustn't have that. MOUSES! What a cool idea....getting rid of stuff.....yeah...hear that MOM????? Crockett's daddy needs to do dat! RATS?!!! RATS??? O MI Cod, we could not help U with rats as we r still practicing to catches mouses. 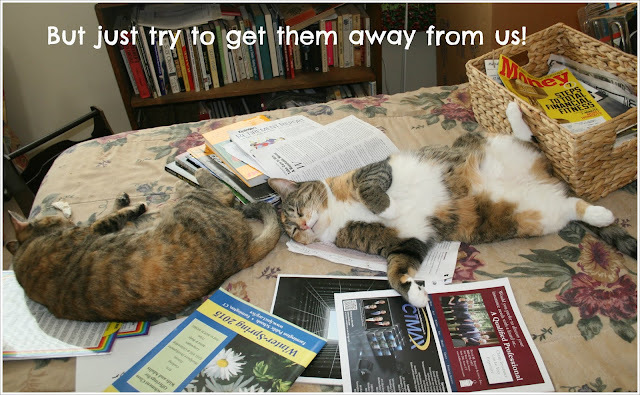 Our human says we should know that by now. Thanx furr visiting!!! 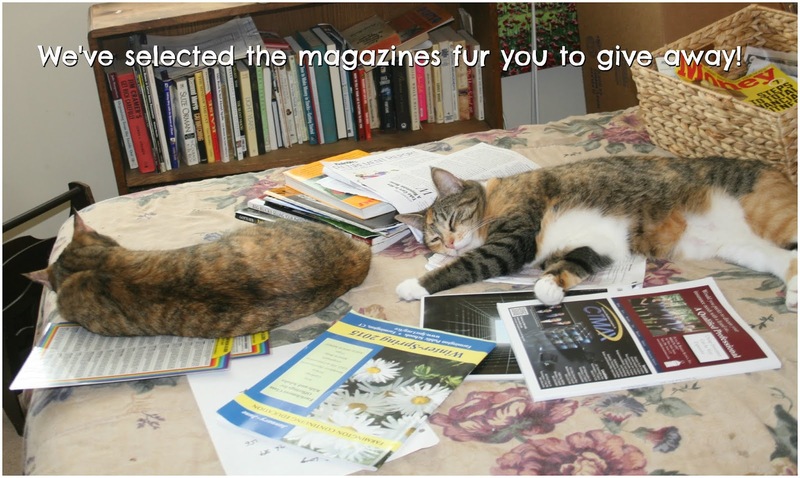 We hope you leave at least a couple magazines, for Mudpie to sit on! This is an important mental health activity fur cats and we enjoyed it very much. hmmmm...looks to me like there might be some "pack cats" in your house...na/ mean? Oops... missed it. Guess we'll have to wait for next year!